CHRISTCHURCH, New Zealand – BJ Watling continued to defy England as he combined with Colin de Grandhomme to resurrect New Zealand’s innings and lead them to 192 for six as the second day of the second test at Hagley Oval ended about 30 minutes early due to bad light. 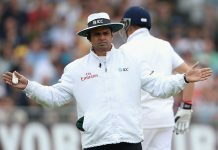 Watling was 77 not out after he and de Grandhomme had come together at 36 for five and then combined for 142 runs for the sixth wicket to drag the hosts back into the match after Stuart Broad and James Anderson had blasted the top off the innings. Tim Southee was 13 not out after de Grandhomme had been dismissed for 72 about an hour before the scheduled end of play. England had been dismissed for 307 early on Saturday at Hagley Oval after Jonny Bairstow was the last man out for a well-deserved 101. 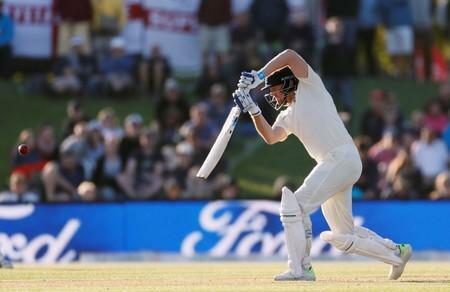 Bairstow had rescued England’s innings from 94 for five to marshal a stubborn rearguard action with the bowlers as they scored 156 runs for the final four wickets — 95 of those coming in an eighth-wicket partnership with Mark Wood (52). Broad and Anderson then followed up Bairstow’s fifth test century with four quick wickets to put England in charge as they reduced the hosts to 32 for four at lunch. The hosts lost Kane Williamson shortly after the break for 22, the home captain becoming Bairstow’s third catch. The 28-year-old had already caught Tom Latham for a duck and Jeet Raval for five before lunch as Broad and Anderson ran riot with the new ball. Broad took three of the first four wickets to fall, also capturing Ross Taylor for two and trapping first test centurion Henry Nicolls in front for a duck. Anderson and Broad, however, were less effective after lunch as the ball softened and de Grandhomme and Watling were able to fight back, something Broad acknowledged with the second new ball due to just 5.1 overs into the third day. England needs a win to stop New Zealand clinching their first series against them since 1999. The hosts won the first test at Eden Park in Auckland by an innings and 49 runs.